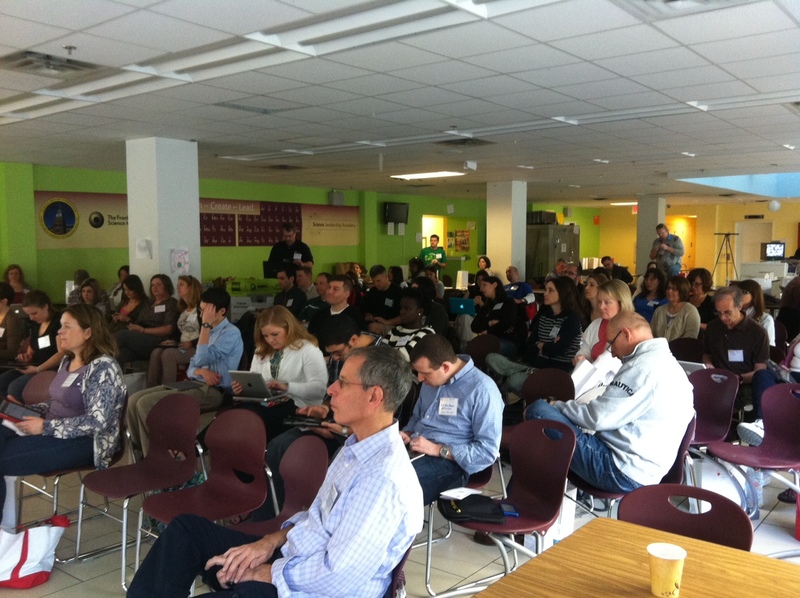 I am fresh back from #edcamppss in Philadelphia. I am a bit tired, a lot proud, and really energized to make what I have learned tangible in my classroom. It’s satisfying it was to meet people who are working hard to make their classrooms a better place. It was surreal to see an event so long in the making become real and to get the other organizers again. I wish that I had more time to talk to all of the other attendees. That is the downside to organizing. You miss many of the chances to stop, chat and know the people beyond a 140 character limit. This is my one regret from the day. I must offer my thanks to @nesticos @dontworryteach @becky_ellis_ @irishteach @gregkulowiec and @ron_peck for all they did to make the day happen. They inspire me beyond what they know. I want to thank so many of the others who attended, too many to list , for sharing their work and ideas so freely. Together we make a difference. I really want to thank @mseideman who was for me the #edcampss rock star. Her clearly articulated and well thought out ideas were exactly why I go to #edcamp’s . I will follow here more closely on twitter and I really think she should moderate an #sschat in the future. I also want to thank @jharaz for sharing a story that makes the working on #sschat and sharing on twitter worthwhile.